The World of Outlaws Craftsman Sprint Car Series will visit Lakeside Speedway in Kansas City, Kansas for the ninth consecutive year on Friday, October 19 for the running of the FVP Platinum Battery Shootout. The event will again coincide with the NASCAR weekend at Kansas Speedway, which is less than 10 miles from Lakeside Speedway. Last year, Brian Brown picked up a very popular win at his home track. Brown, who hails from nearby Grain Valley, Mo., held off Sheldon Haudenschild and nine-time series champion Donny Schatz for the victory. Brown led early, before Kerry Madsen took control of the race, only to have a flat tire, while holding nearly a nine-second lead. Brown inherited the lead at this point and went on to pick up the win. Brad Sweet, who scored the biggest victory of his career earlier this year, claiming the Knoxville Nationals, won at Lakeside for the first time in 2016. Schatz was victorious for the first time at Lakeside Speedway in 2015. Madsen won at Lakeside Speedway in 2014, while Daryn Pittman, the 2013 World of Outlaws Craftsman Sprint Car Series champion, won at Lakeside in 2003. Leading the way for the World of Outlaws Craftsman Sprint Car Series again this season is Schatz, who is chasing his 10th series title. The North Dakota native has 19 wins to go along with a series-leading 46 top-five finishes and a series-best 59 top-10 runs in 64 starts. Sweet sits second in the series standings, on the strength of eight wins. David Gravel, who has five wins is third, followed by Pittman, who has eight victories, in fourth and Shane Stewart, who has one win, rounding out the top-five. Logan Schuchart, who just picked up his second victory of the season, is sixth in points. Sheldon Haudenschild, who is having a breakout season with five wins, is seventh in the standings, followed by rookie Ian Madsen in eighth. Brent Marks, who has racked up three wins in his sophomore season on the road, is ninth in the standings, with Kraig Kinser rounding out the top-10. Jacob Allen, who has a number of runner-up finishes this season is just outside of the top-10 in points as he chases his first-career World of Outlaws Craftsman Sprint Car Series win. 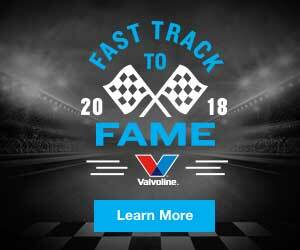 Veteran drivers Jason Sides and Greg Wilson are also on the tour again in 2018. A strong contingent of “invaders” are expected for the FVP Platinum Battery Shootout, including Brown, who won seven races at the famed Knoxville Raceway this year in weekly competition. Joey Saldana will be piloting the Jason Johnson Racing No. 41 at Lakeside Speedway. Kerry Madsen, who won with the Outlaws earlier this season and led 13 laps last year at Lakeside, will be in competition. Brock Zearfoss from Pennsylvania will be in attendance, aboard the No. 4 machine for Destiny Motorsports. Also expected, is California teenager Mason Daniel, who is being mentored by 2001 World of Outlaws Craftsman Sprint Car Series champion Danny Lasoski. Tickets for the FVP Outlaws Shootout, featuring the World of Outlaws Craftsman Sprint Car Series at Lakeside Speedway in Kansas City on Friday, October 19 can be purchased in advance online at https://slspromotions.ticketforce.com or by calling 815-344-2023. Tickets can also be purchased at the track on race day.